Differential cases from the OEMs and especially from aftermarket suppliers are not created equal. There are variations in castings and machining techniques that can lead to small differences of the internal width of your case. For the best performance of any Automatic Locker, the center gap needs to be within specifications. For Aussie Lockers and TORQ Lockers, your center gap needs to be between .145 and .170, with the Ideal Gap being .160. The Torq-Masters Industries Thrust Washers will fit most automatic locking differentials on the market so you can dial in the performance of your locker! Our thrust washers are Made in the USA, in Rochester, New York, from blue-finished and polished spring steel for ultimate wear life. 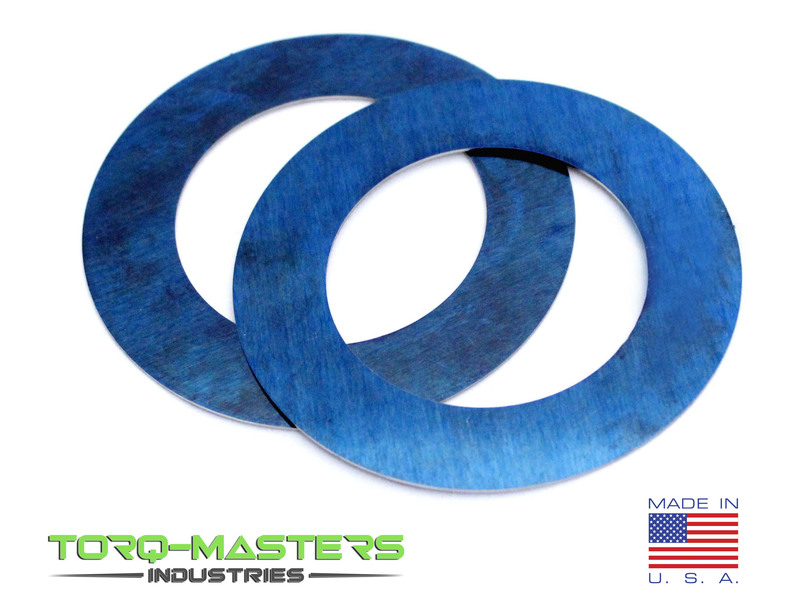 Our laser-cut Thrust Washers are available in stock thicknesses and custom thicknesses.